This is the story of the second session of Port Dundas planning Charrette held on 24 April 2014 at The Whisky Bond in Glasgow as seen through the eyes of social media. It was supported by the Scottish Government, Scottish Canals and Glasgow City Council. The team was led by Kevin Murray Associates and Peter Brett Associates with design support from WMUD and Benton Scott-Simmons and organised by Jas Atwal Associates. 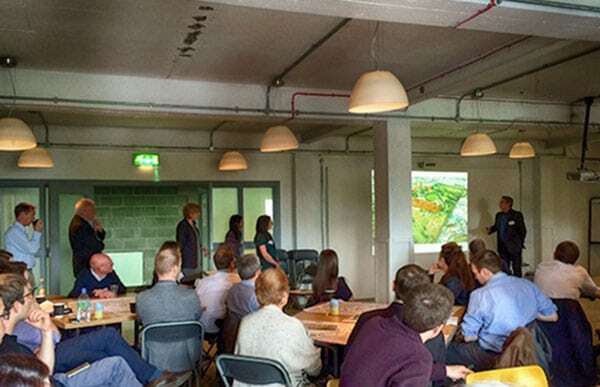 This second event explored the latest thinking about the future of the area in a collaborative setting with local residents and businesses, landowners, council officers, developers and public agencies. The charrette looked at future roles for the areas, activities, uses, infrastructure, phasing and delivery. The next stage of the project is the write-up of the Report for client partners.